Yoga asana is but one of the many different ways of connecting to the center of yourself. When I teach private and group classes, I am simply guiding you into a mindful awareness of self. We pay attention to the breath, the body, the patterns of the mind, the edges. And with time, we learn how to apply all of the information we receive to our lives off the mat. My true passion is creating a space for you to experience this yoga across the board – in your body, in your mind, in your heart + in your life. We start on the mat and maybe stay on the mat throughout our time together, but the changes you will notice in your life can seem a bit like MAGIC. I’ve been practicing yoga since 2004 and teaching since 2009. I’m 500-hour certified through Yoga Alliance. I’ve taught well over 12,000 hours and co-led 6 Teacher Training programs. I teach studio classes, privates, workshops, retreats, corporate sessions AND it’s still more about the yoga off the mat that gets me jazzed. When you get a taste of what it feels like to be free of constrictions in your body, in your mind, in your heart… when you get a taste of your own magnificence and capabilities… THAT IS what I love about yoga. 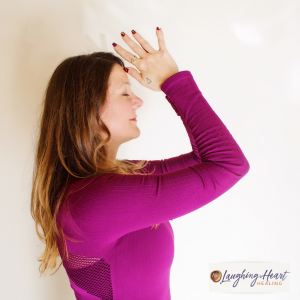 I am trained in the traditions of hatha, alignment + vinyasa yoga and use held poses, breath awareness, meditation and energy principles throughout my teaching. I also bring in non-traditional experience through shaking, tapping, laughter, noise and other techniques I’ve picked up along the way. I can tailor a session to the experience level you are looking for.